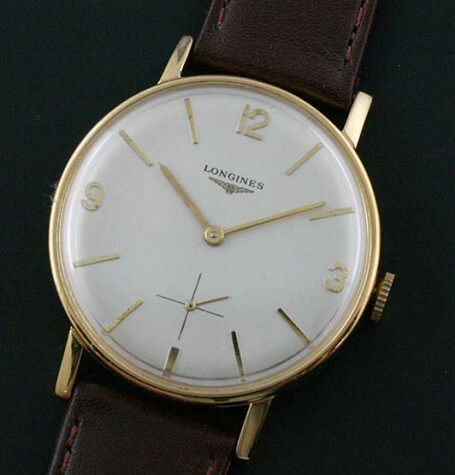 A great vintage Longines using the successor to the famed Longnes 30L movement. 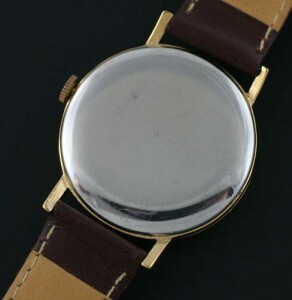 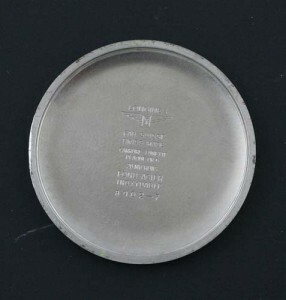 This watch dates to 1968 based on the movement serial number. This Longines calibre is similar to the famed Omega 30 mm (i.e. 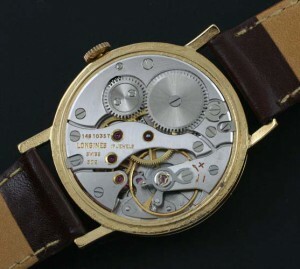 Omega 30T2) series of movements dating back to World War 2. 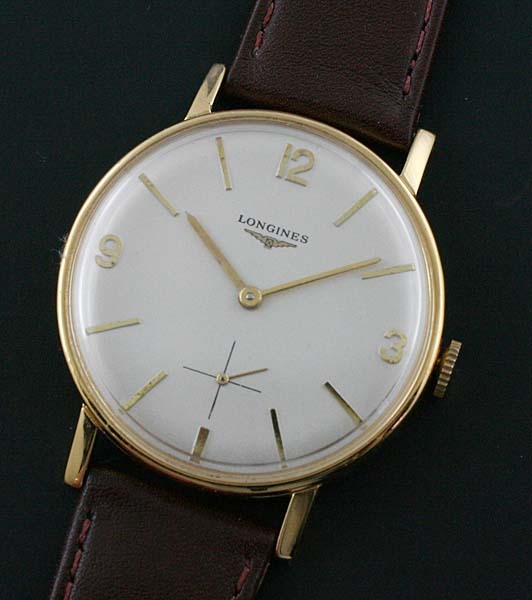 This large Longines vintage watch features a restored dial with yellow gold Arabic markers as found on the famed Rolex Explorer. 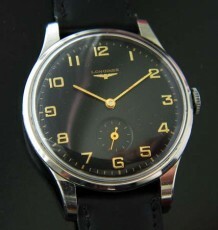 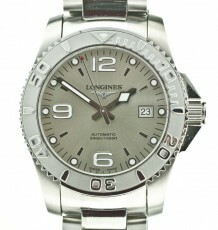 As with the earlier Longines 30L caliber the watch features a sub-seconds chapter. 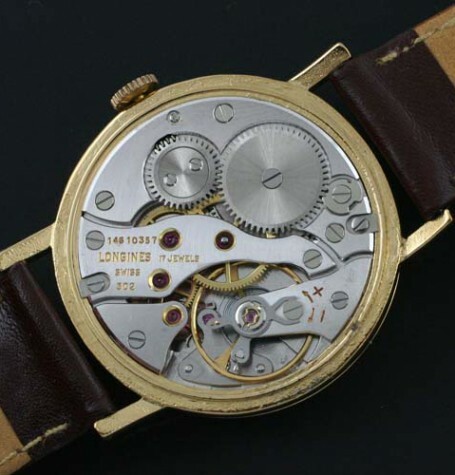 The movement calibre 302 was made by Longines to improve upon the famed 30L by adding a larger balance and a micro regulator. 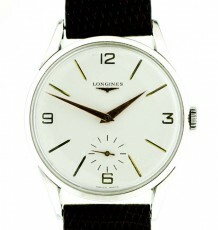 In general terms, the larger the balance, the more accurate a watch. 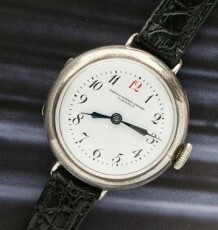 The dial has been restored by a European craftsman before retiring last year. 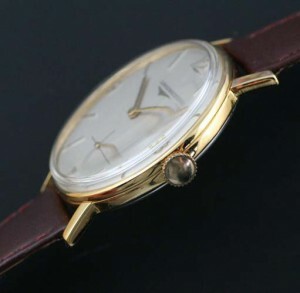 It is in immaculate condition. The gold filled case measures 35 mm wide by 42 mm long and will be supplied on the buyers choice of black or brown leather straps.